By Sophie Galloway · March 30, 2019, 5:54 p.m. 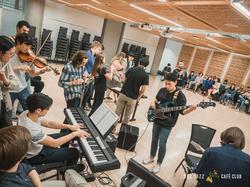 The band members have played together in many different capacities, from community bands to high school jam sessions. By Sophie Galloway · March 30, 2019, 5:52 p.m.